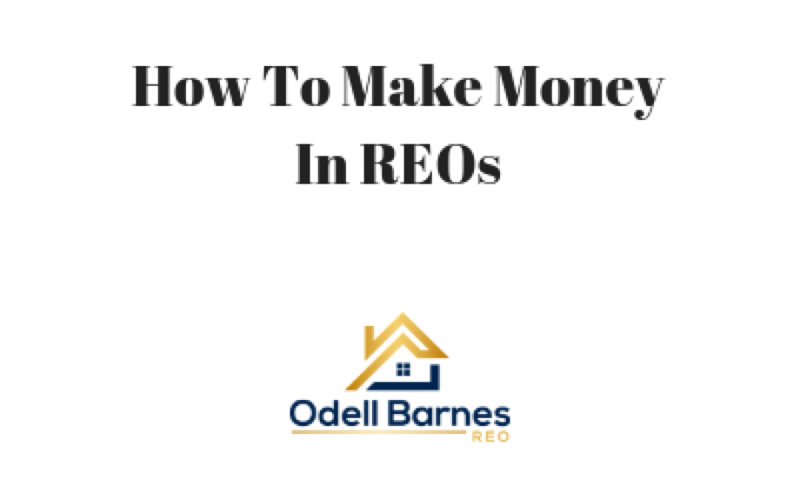 Making money in REOs isn’t what I’d call easy, but it is fun and it is profitable for those that know how to work the auctions and market properties. If you work in just one market, it’s a lot easier because you get to know that market and understand all of its nuances. You will, however, be limited by inventory and the competition could be fierce as you’ll have more investors fishing in that same pond. I get asked all the time, “how much should I bid?”. You bid according to the numbers that work for you and that’s it. We work across the country and buy in bulk so our targets work differently. We don’t get to see many of our properties so we’ve got to bid accordingly when we’re working with the banks and auction companies. Know your numbers, and your exit strategy and you can bid accordingly. I see a lot of investors that get lured in by the auction sites to play their game of running up the bids. You simply cannot fall into this trap and expect to be successful. We pick our price, and we stick with it, plain and simple. There is no need to win every property and you most definitely cannot get emotionally involved in a deal. One thing I’ve learned is, there will always be more deals. Wholesale the property: This is super easy if you buy it at the right price. My advice here is don’t get greedy. Leave meat on the bone for your buyer and they will keep coming back to you. Think long-term relationships and you’ll go far in this business. Wholetail the property: Fix up the property just enough to get it MLS ready for a close to retail sale. You’ve got to have a team in place that’s efficient and know your costs on materials to make it a smooth, profitable process. Fix and Flip: The top level rehab. You want to have it at full retail price. I’ve done a few fix and flips and I like to be extra picky on which ones I choose for this exit strategy. Fix and Rent: Want cash flow? Buy the property, fix it up and get a tenant in it? Once you’ve done that, you can go to your bank and refinance the deal and ultimately pull most, if not all of your cash back out that you invested. If you’re a fan of BiggerPockets, this is called the BRRR method. Owner Finance: My personal favorite. Let the end buyer do the rehab and repairs to the property. Create a note that you can keep for cash flow / passive income, or even sell in the future. You don’t get the benefit of depreciation like you do with rentals, but you don’t get the headaches of management either. Let us know what kind of investor you want to be and we’ll work with you to help fulfill your property needs around the country. Get the benefit of buying from a company that buys in bulk and has access to deals that most buyers cannot get or compete with at auction. Give our office a call at 321-286-8253 and ask for Ben Fredricks or John Leggett to learn more. Please provide more details on the forms of payments you accept? Lynn, we accept cash, hard money or we will owner finance most properties with a good down payment.